Why Was Gold a Surprise Post-Election Disappointment? The SPDR Gold Shares (NYSEArca: GLD), iShares Gold Trust (NYSEArca: IAU) and ETFS Physical Swiss Gold Shares (NYSEArca: SGOL) and other gold exchange traded products such as Rex Gold Hedged S&P 500 ETF (GHS) and Rex Gold Hedged FTSE Emerging Mkts ETF (GHE) have been widely cited as perhaps the lone beneficiaries of Republican nominee Donald Trump winning Tuesday’s presidential election. 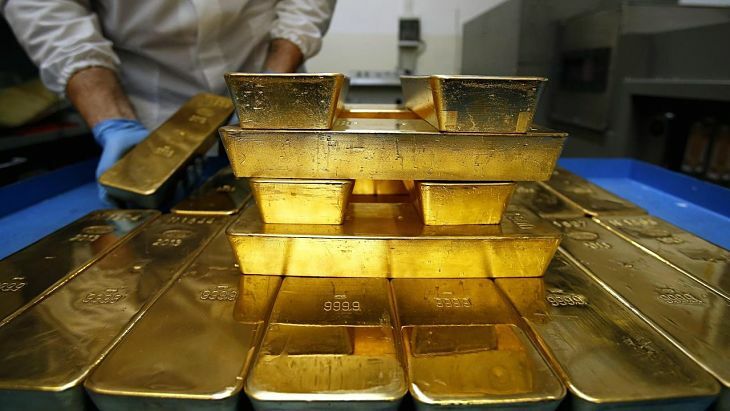 Looking ahead, the ongoing negative interest rate environment, with European and Japanese central banks cutting benchmark rates deeper into the red to promote growth, could push investors toward gold bullion as a more stable store of wealth. Interestingly, historical data suggest gold performs better when Democrats are in the White House.